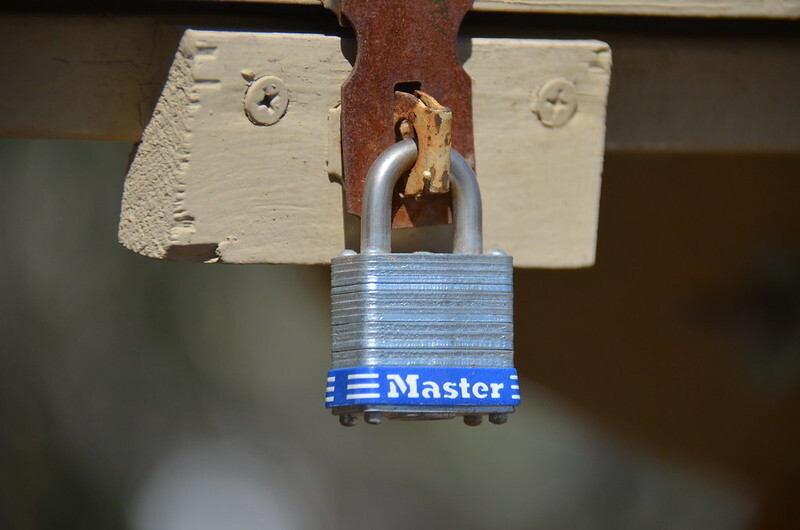 A padlock secures a building at Robert J. Moody Demonstration Garden, Yuma, Arizona. But good for protecting your bling. So no one can get anything! 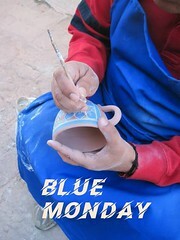 Posted on February 11, 2019, in Arizona, Blue Monday, light verse, limerick, Robert J. Moody Demonstration Garden, Yuma and tagged Arizona, Blue Monday, limerick, padlock, Robert J. Moody Demonstration Garden, Yuma. Bookmark the permalink. 4 Comments. Ha! Nice shot. Is it just me, or do I see a face in that photo? Pareidolia rules! You are the best at finding things so simple to fit the occasion. Well done. You have a good eye….